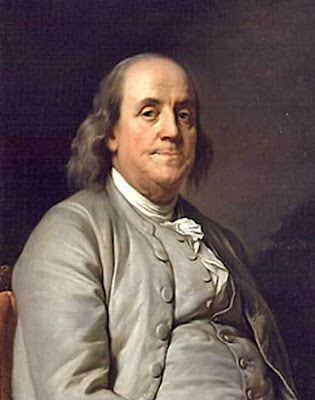 On this date in 1706, Benjamin Franklin was born in Boston, Massachusetts. He was one of the most famous Founding Fathers that never became President of the United States. He is well known for his wit, his wisdom, his inventions and his service to our fledgling nation. His devotion to the cause of freedom cost him the relationship with his illegitimate son, William, who stayed true to the crown of England and eventually left America never to return. This was a man who knew what it meant to sacrifice for freedom. We don’t. For more than a generation, we have allowed the federal government to change our education system, to change our traditions, to change our court system and to change our values. We have allowed the federal government to usurp authority from the individual states, to waste our money and to trample our Constitutional rights. Benjamin Franklin would have said, “No.” Read the above quote again. We have become a nation of sheep by allowing the federal government to search us before boarding an airplane and now they want to use machines that will basically strip-search us. We have, willingly, given some of our freedom for perceived security and what is the result? The federal government wants more. Their desire is to control more of our lives, take more of our money, usurp more authority from the states, take over private industry and totally change our form of government. I don’t know if you’ve noticed but they’re making great progress in achieving their goals. Yes, some of us have stood up and said, “Stop!” but not the majority. Ironically, our nation’s future may be determined in two days by the result of a special election in Massachusetts. The eyes of an anxious nation look to Massachusetts once again. Will there be another shot heard ‘round the world on January 19, 2010 or will Massachusetts’ long history of freedom fighters and love of liberty conclude with a vote to relinquish the freedom once cherished by America and the world?